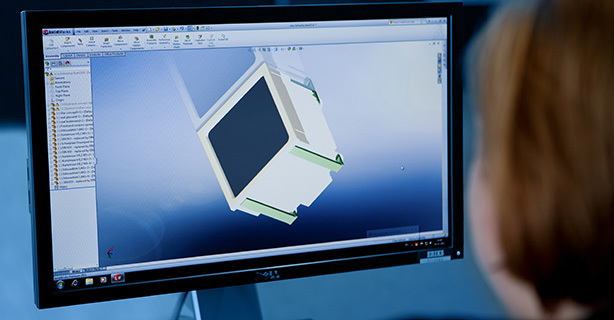 ERIKS’ Application Engineers are often involved in the development of new products for the OEM market. Both multinationals as well as small specialized companies in the manufacturing industry involve ERIKS at an early stage in the development process for engineering design and maintenance. The experienced ERIKS Application Engineers can advise and guide you in prototyping and testing. This allows ERIKS to contribute to fast and successful introductions of new products. With its own state-of-the-art machines, ERIKS can produce a 3D model in rubber or plastic within a few days and without mold costs. You can fully test and analyze these vision and fitting models and it is immediately clear whether the form is correct or whether further development is required. For more information about Product development together with ERIKS, please fill in the form on the right side of the page or contact a local team. Click here for the global ERIKS location finder.